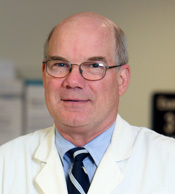 After graduating from Georgetown University School of Medicine in 1975 Dr. Harter completed a general surgery residency and research fellowship at The New York Hospital Cornell Medical Center in New York City from 1975 to 1982. He then completed a plastic surgery residency at Duke University in Durham, North Carolina, which included a hand fellowship at the Christine Kleinert Institute. He practiced plastic and hand surgery in Louisville from 1984 thru 1998 and then joined Kleinert Kutz and Associates in 1999. He was certified by the American board of Surgery in 1984, The American Board of Plastic Surgery in 1986, and obtained Added Qualification in surgery of the Hand in 1989 and 1998. He is an Assistant Clinical Professor of Plastic and Reconstructive surgery at the University of Louisville, a member of the American Society for Surgery of the Hand and a Fellow of the American College of Surgeons. He also served as president of the Greater Louisville Medical Society and is currently the Program Director of the Hand Fellowship at the Christine Kleinert Institute.